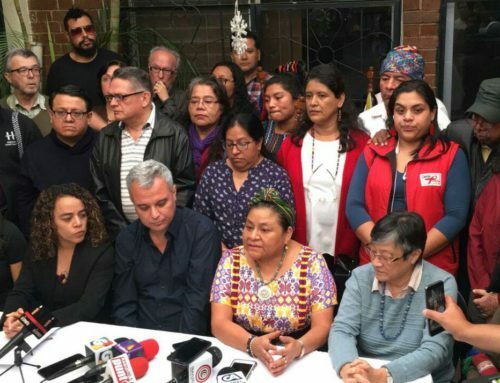 News recap: Environmental activist Ángel Estuardo Quevedo killed in a wave of assassinations; Accompanier perspectives on violence at the U.S. border; New NISGUA report: Defending an ancestral decision-making process; Maya Achí women from Rabinal call for justice for sexual violence. This and more in this month’s solidarity update. On July 12, 2018, Guatemalan activist Ángel Estuardo Quevedo, a member of the Peaceful Resistance in Casillas which demands the permanent closure of the Escobal silver mine, was murdered while traveling in the municipality of Santa Rosa de Lima. Read the Xinka Parliament’s statement condemning his murder, expressing solidarity with his family, and calling for an immediate investigation. The murder of Quevedo is the latest in a wave of assassinations of movement leaders defending land, natural resources, and Indigenous territorial rights. Since January alone, 13 land and Indigenous rights defenders have been murdered. According to those close to him, Quevedo had received threats shortly before his death. These attacks will not stop unless those responsible are brought to justice. NISGUA joins the Coalition Against Unjust Mining in Guatemala in condemning the murder of Quevedo and calling on the Guatemalan Public Prosecutor’s Office to thoroughly, impartially, and promptly investigate. Please support justice for land and Indigenous rights defenders in Guatemala by signing your organization on to the letter. Please send the full name of your organization to becky@nisgua.org by Wednesday, August 1. 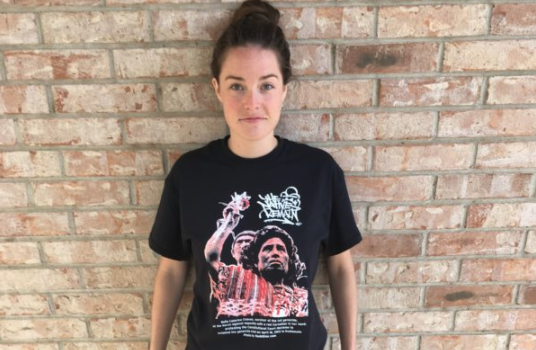 NISGUA Local: Former accompanier writes about the exhibit "Defending Truth and Memory"
In a powerful article, current accompanier Claire Bransky pays homage to Claudia Patricia Gómez González, the 20-year-old woman murdered by border patrol agents in Texas in May. Claire’s article connects the ravaging effects of U.S. imperialism - through U.S.-funded coups and massacres to mega-development projects imposed against communities’ will - with the racialized violence and profiteering that immigrants face at the border. Host a screening of 500 YEARS: Educate yourself and your community about the historical role of the U.S. in creating the conditions that drive migration from Guatemala to the U.S., as well as the Guatemalan social movements that are working to transform those conditions and fight for the right to stay. Read more on our website and explore our Organizer Toolkit to learn more about how to host a screening, discussion, and action party in your community! Participate in our fall speaking tour: This November, we’re planning events throughout the Western and Southwestern U.S. to lift up lessons from successful organizing in Guatemala’s Ixcán region, where Indigenous communities have resisted the imposition of the Xalalá Dam for over a decade. “How to Stop a Dam with Indigenous Resistance” will feature Maya Mam organizer José Gómez, a representative of the Association of Communities for Development and the Defense of Land and Natural Resources (ACODET) who will speak about their long-term work to build community power in the face of corporate-led development. Read more about the tour and how to get involved with local event organizing! 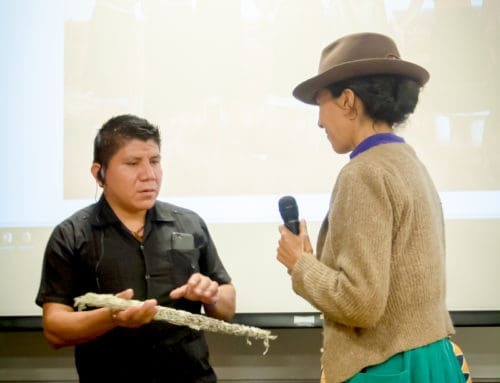 Former accompanier Kayla Autumn Myers writes about hosting Guatemalan photographer Roderico Díaz and the exhibit "Defending Truth and Memory" in New Mexico. Read her moving reflection here. While the Guatemalan government continues to grant licenses for resource extraction without the free, prior, and informed consent of impacted communities, people are standing up and organizing through community consultations to express opposition to mines and hydroelectric dams in their territories. Their decisions must be respected. A new threat is imminent, however. 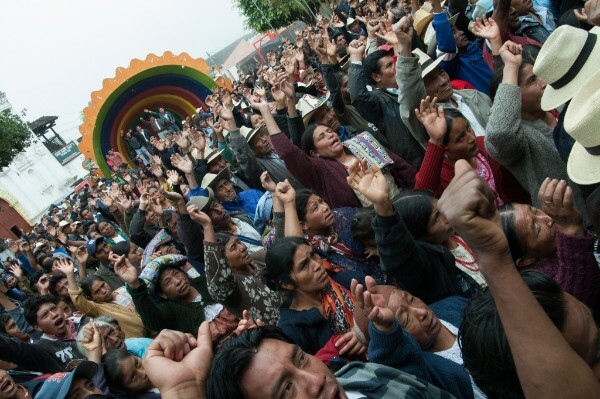 This powerful display of direct democracy and community self-determination is having a major impact on blocking or stalling projects - like Tahoe Resources’ Escobal mine, the Xalalá Dam, KCA’s El Tambor mine, and countless others. New legislation before Guatemalan Congress is proposing to standardize the consultation process, giving the government the power to choose which communities to consult and under what circumstances, and then ultimately ignore the results if they were to be contrary to the interests of the State. Organizations like the Western Peoples Council (CPO) call this proposed bill the latest attack on Indigenous sovereignty and an attempt to undermine powerful resistance to resource extraction projects. Take action! 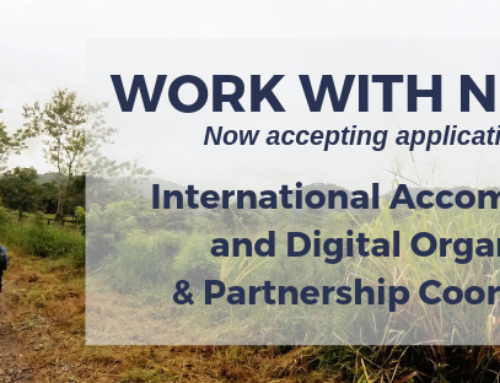 Sign the online petition to the Guatemalan Congressional Labor Commission, asking them to reject this version of proposed legislation. Maya K’iche’ and Maya Uspanteko citizens vote in an October 2010 referendum in Uspantán, El Quiché. More than 25,000 residents voted to reject mining and hydroelectric projects in the municipality. 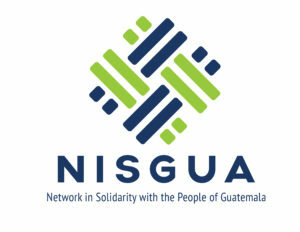 On June 12, 2018 NISGUA joined 54 Guatemalan and international organizations in an open letter to the U.S. Ambassador to Guatemala, Luis Arreaga. The organizations expressed their concern regarding the U.S. government’s intervention in favor of Tahoe Resources’ Escobal silver mine, a project associated with numerous and well-documented human rights violations. Operations are currently suspended at the Escobal mine until the Constitutional Court emits a final resolution that could lead to the permanent closure of the mine due to discrimination against the Indigenous Xinca People and lack of prior consultation. In a public statement made on May 21, the U.S. Embassy called on the Court to issue a final resolution, referencing the importance of the judiciary in creating a stable investment climate to exploit Guatemala’s abundant natural resources. This statement is an explicit show of support by the U.S. government in favor of the Escobal mine despite the patterns of violence associated with the project and the broader opposition to mining throughout the country. Read a detailed timeline of Tahoe Resources’ lobbying efforts and the U.S. government’s intervention in Guatemala on behalf of the company here. Thousands take to the streets on April 9 for the "March for Life," in support of the Xinka People's right to self-determination and calls for the permanent closure of Tahoe's Escobal mine. Closing arguments are expected within the next few weeks in the genocide trial against former head of military intelligence, José Mauricio Rodríguez Sánchez, who stands trial for crimes committed against the Ixil people under Ríos Montt’s 1982-1983 dictatorship. 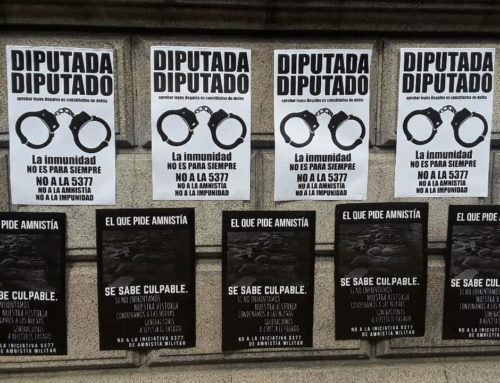 Initially found not guilty in the 2013 trial that convicted Ríos Montt, a strong case has been built by the prosecution to prove that the military intelligence reports provided by Rodríguez Sánchez were instrumental in making genocide possible. 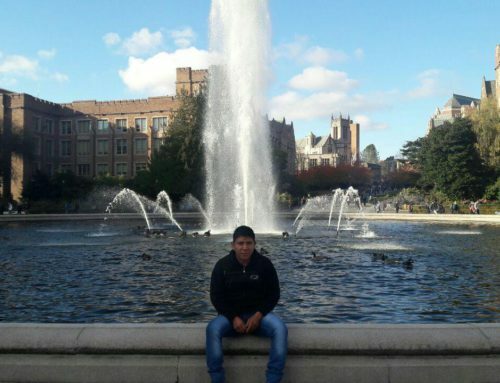 The Association for Justice and Reconciliation (AJR) continues to call for international accompaniment and solidarity as the case moves to closing arguments and a pending verdict. In June, preliminary evidence was presented in the case against six former civil defense patrollers, including Juan Cecilio Guzmán, Simion Enriquez, Damian Cuxum, Pedro Sanchez, Bernardo Aquino, and Benvenuto Aquino, for their role in carrying out acts of sexual violence and crimes against humanity between 1982 and 1983. Charges were filed on behalf of 36 Maya Achi women who were subjected to repeated instances of sexual violence at the hands of the military and civil defense patrol members. Judge Claudette Domínguez denied the prosecution’s request for a closed-door trial to protect the identities and safety of the women, but ruled that the evidence was sufficient to move to a public trial. The trial is set to begin on August 24.